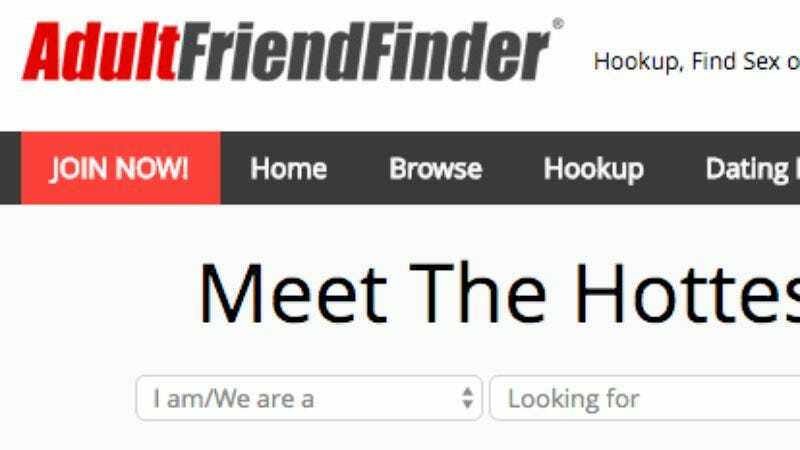 Everyone says it’s more difficult to make new friends as an adult, but that’s not exactly the function behind the website AdultFriendFinder.com. If you’re a member, you already know that, and should probably know this: The Washington Post reports that the site has likely been hit with one of the largest data-breach attacks on record, potentially exposing the user information for more than 412 million accounts going back 20 years. That’s more than 10 times the number of accounts exposed in the Ashley Madison hack last year, which implicated 36 million people in charges of infidelity (or at least attempted infidelity). Like Ashley Madison, users of Adult Friend Finder are seeking connections that are explicitly sexual in nature; unlike Ashley Madison, though, these so-called “friends” aren’t necessarily looking to do it behind their spouse’s back. In fact, for those in the site’s “swingers” section, they’re actually looking to do it in front of their spouse. Anyway, very little information is available about the hack at the moment aside from the fact that it happened, and that information, including usernames, emails, join dates, and the date of a user’s last visit, was exposed. But with the flurry of media reports outing anyone even marginally famous with an Ashley Madison account that popped up last year, we may see similar reports popping up within the next couple of days. And if you have an account on the site—or on Penthouse.com, Cams.com, Alt.com, OutPersonals, or any of the company’s myriad other dating/“dating” sites—and don’t want anyone to see your masturbation material and/or awkward post-shower selfies, you’d best go check on that right now. The information was first reported by LeakedSource, which describes itself as “a breach notification website that specializes in bringing hacking incidents to the public eye.” It hasn’t been confirmed by anyone at Adult Friend Finder’s parent company FriendFinder Networks, although a representative tells The Washington Post that it’s investigating the situation. The last time Adult Friend Finder was hacked was in May 2015, which is really not that long ago at all.